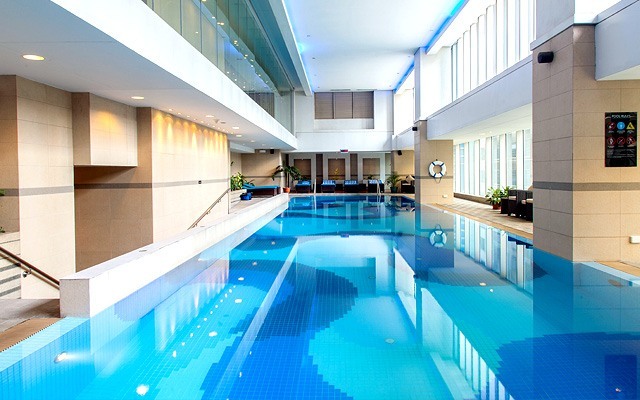 Hotels with swimming pools are often a big plus when choosing accommodations for a weekend staycation. 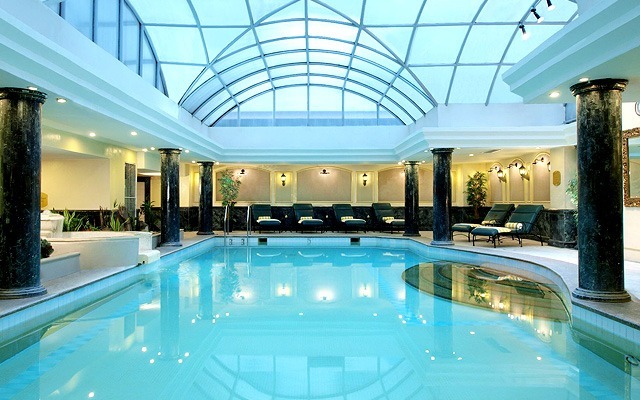 Where else can you practice your swimming skills or flaunt your new bikini, right? The rainy season, however, can be a bit of a bummer especially when you've mustered enough courage to swim in a seven-foot pool. 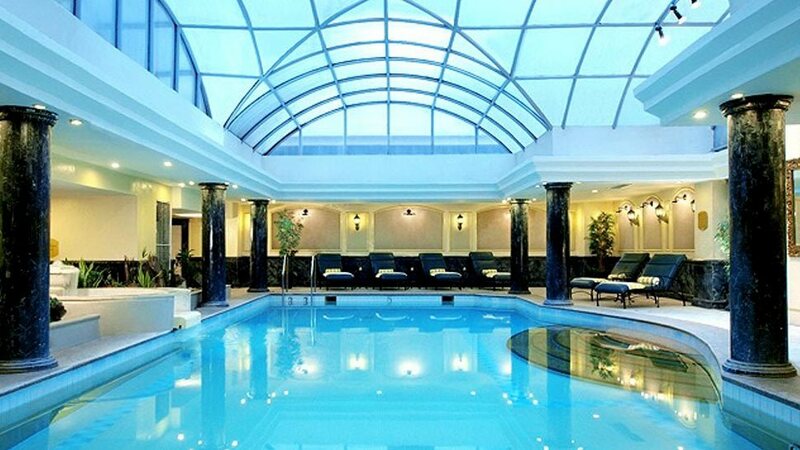 It's a good thing there are a lot of hotels in Metro Manila that have indoor pools. In 2017, Marco Polo Ortigas Manila earned the coveted Five-Star rating from Forbes Travel Guide. 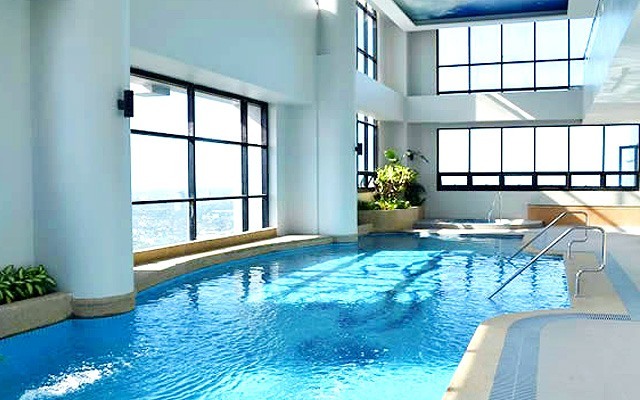 Part of this luxurious hotel's charm is the indoor infinity pool at the 22nd floor, where you'll get a great view of the Ortigas cityscape thanks to floor-to-ceiling glass walls. Never miss a flight when you book a room at Savoy Hotel Manila, just a stone's throw away from Ninoy Aquino International Airport - Terminal 3. Its close proximity to the airport gives you more than enough time to go for a swim or grab a drink from The Poolside before a flight. 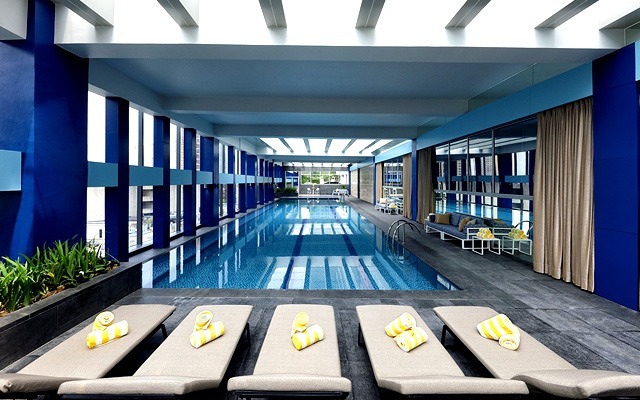 Joy~Nostalg Hotel & Suites Manila's all-blue indoor swimming pool at the sixth floor features floor-to-ceiling glass walls that provide a stunning view of the Ortigas cityscape. To help you relax, it also has an underwater music system and a hot tub on one end for when you just want to lounge around. Swimming coaches are also available in case you want to take the opportunity to improve your form and strokes. 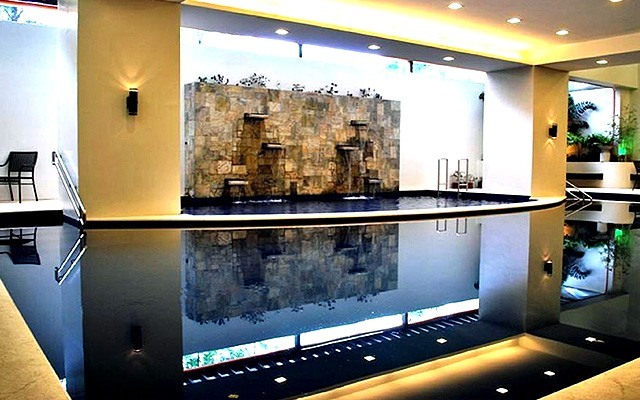 Berjaya Makati Hotel's indoor pool makes sure that you can still enjoy a relaxing dip even when it rains outside. 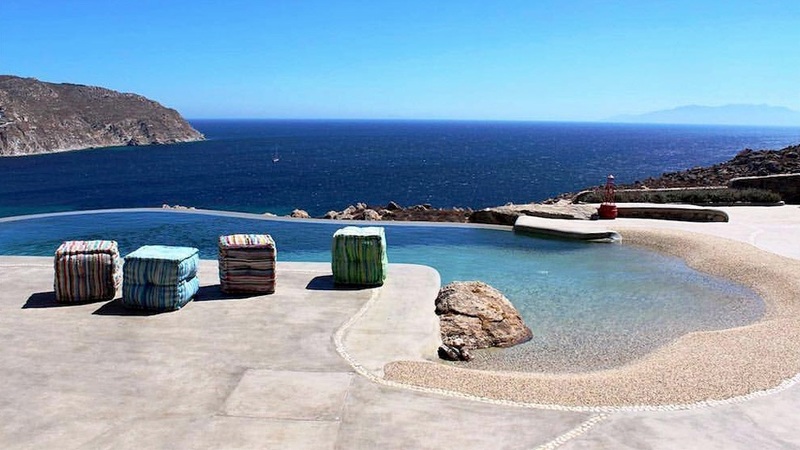 There are a lot of pool chairs and benches around just in case you want to take a break from swimming. 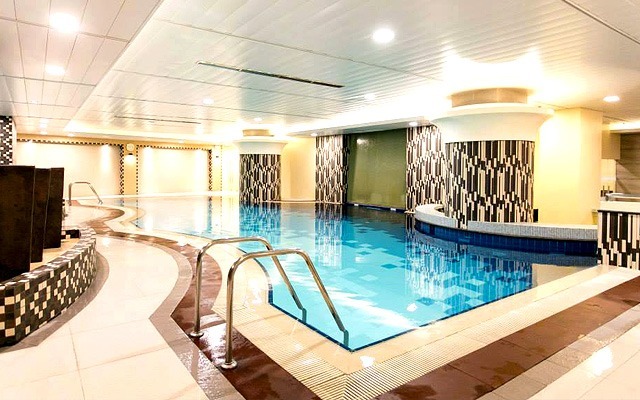 You can find Discovery Suites' swimming pool and hot tub at the fifth floor. One side has a roof above it while the other half lets you bask under the sun. Because of its proximity to the hotel's Restaurant 5, you can easily order refreshments and snacks while enjoying an afternoon dip. 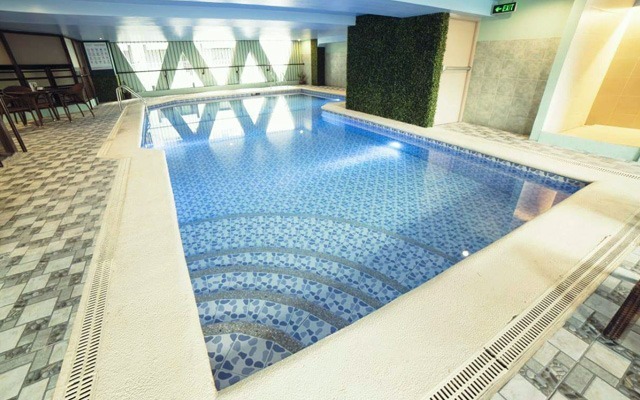 Makati Diamond Residences has an indoor lap pool at the fourth floor thatâs perfect for an everyday workout session. You donât have to give up your routine just because youâre on vacation, right? Linden Suites has three types of fully equipped units ideal for families and groups on a long stay. So if you're looking to spoil yourself in their temperature-controlled swimming pool and hot tub, you can book for a week (or even more). 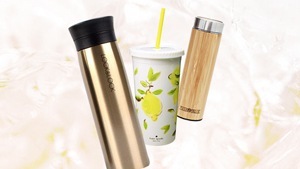 Take a break from lazing around your hotel room and check out what BSA Twin Towers has in store for water-lovers. 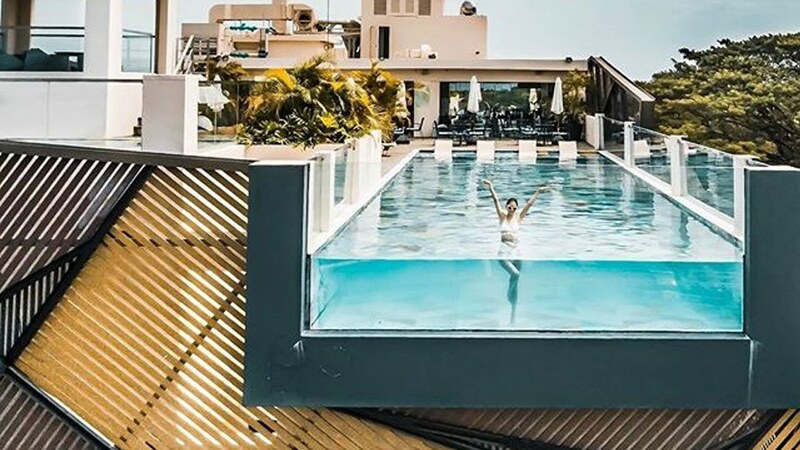 It has a four-foot wave pool, which simulates swimming in open water; and a four-foot lagoon pool, which has a glass window overhead to allow a bit of sunshine through. 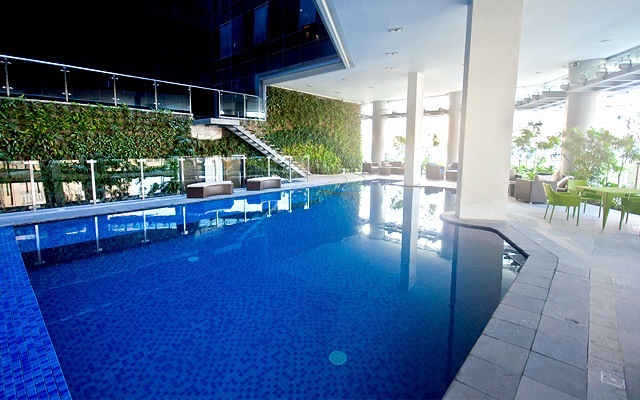 Richmonde Hotel Ortigas' heated indoor pool at the fourth floor lets you do some laps even when it's freezing outside. The soothing warm water can really be tempting especially for rainy evenings. Sports-lovers don't have to worry about missing their workout when checked in at Millennia Suites. 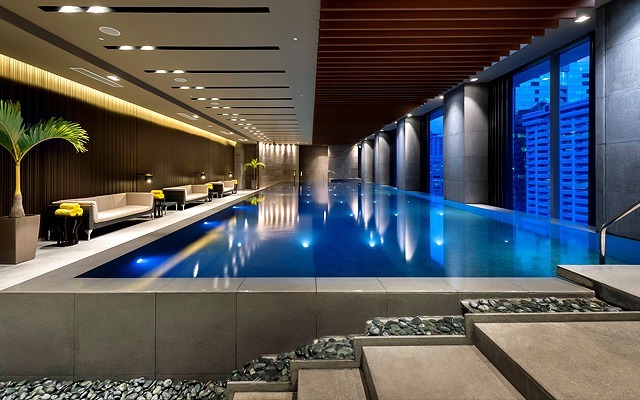 It has an indoor swimming pool, a half-court for basketball and badminton, a game room for table tennis and billiards, and a fitness center. There's also a separate kiddie pool for the young ones who can't get enough of the water.